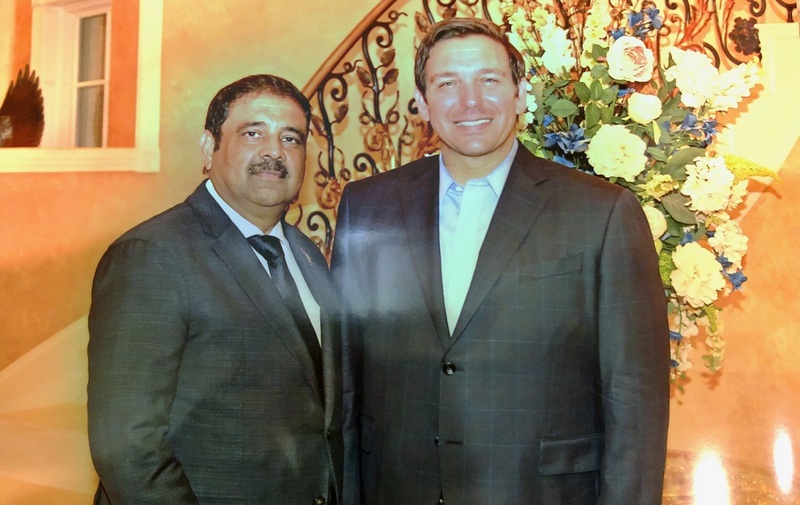 Danny Gaekwad with Gov.-elect Ron DeSantis. Gaekwad says DeSantis has promised him that Diwali will be celebrated at the governor’s mansion in Tallahassee next year. Prominent entrepreneur Danny Gaekwad and former Florida Department of Transportation secretary Ananth Prasad are among three Indian Americans named by Governor-elect Ron DeSantis to his Transition Advisory Committee on the Economy. DeSantis, who will swear in as governor in January, announced the formation of the 45-member committee on Wednesday. The third Indian American on the committee is Kumar Allady, founder of the engineering and IT services firm Radise International. Gaekwad also told the American Bazaar that DeSantis has promised him that Diwali will be celebrated at the governor’s mansion in Tallahassee next year for the first time. The Ocala resident, an influential campaign contributor and Republican fundraiser, was named to the Board of Trustees of the University of Central Florida by Gov. Rick Scott earlier this year.